I just got it back from the tailor today and its a very good result, I will take some photos later but it was a reasonably complex set of modifications. The true side seams run through the pockets so the excess was taken out by an extra seam on both sides and the shoulders were modified to improve the fit. the sleeves were also slimmed down to better suits a person of my build. It was done by an 80 year old plus old master who did all this work by hand and I am glad I did not try and do the modifications myself as I simply don't know enough about coat design and modification to try it. 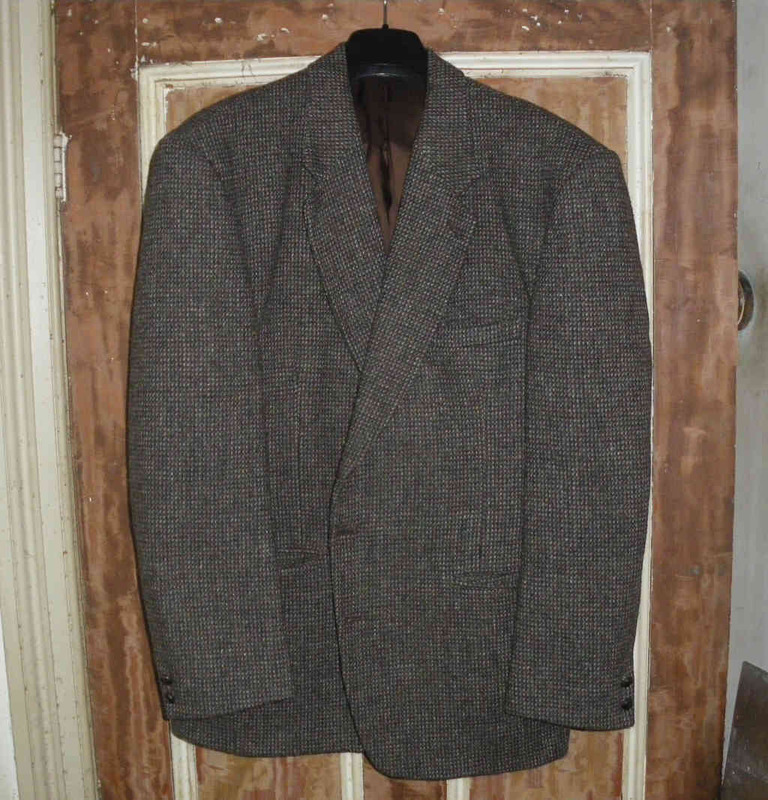 Cost me $150.00 AUD which is very reasonbly for the quality of work done and I now have a near to perfect fit Harris Tweed coat that can be used as casual wear. Wow! Very reasonable price for all of that work! Lookingng forward to pics. This is the front which has no visible modifications done as the main modifications were done in the back extra seams. When Peter pinned it up, he corrected the shaping so that the back fitted better and reduced the girth to fit my basic size. Sorry about the way it hangs but I put it on the proper coat hanger backwards so I could hang it on the door. 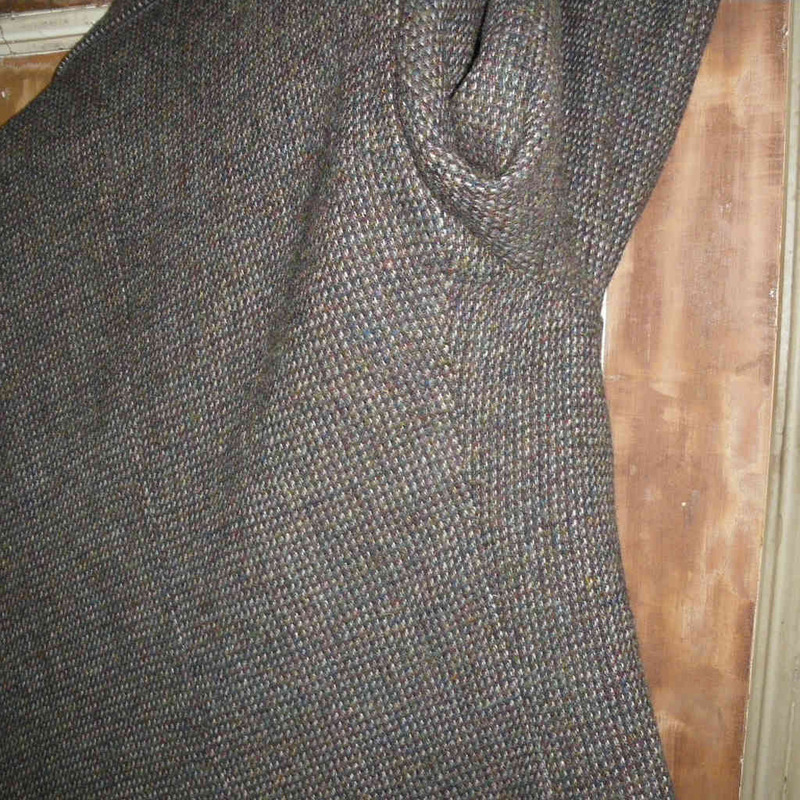 This photo shows the extra seam set towards the back of the sleeve opening that contains the main modification. There were some issues of shaping corrected this way and there were changes in how the sleeves were hung to get the shoulder slope correct. The original side seams ran through the two side pockets and would have been an untidy modification. It fits well, is comfortable to wear and suitable for casual wear which means I will get to wear it regularly as it gets colder. The problem with formal wear is that I almost never need to wear it so it does not get used all that often. Peter did say that the center back seam would have been the wrong modification that would have messed up the back and shoulder fit. "Peter did say that the center back seam would have been the wrong modification that would have messed up the back and shoulder fit." That would have made a funny coat. I don't quite understand the photo with the arm raised. That seam is surely the normal rear side-body seam that was always there? Doesn't have to be a seam there. Some of the old coats the fronts nearly went all the way to the center back seam. ah well...as long as hutch is satisfied that's all that matters. 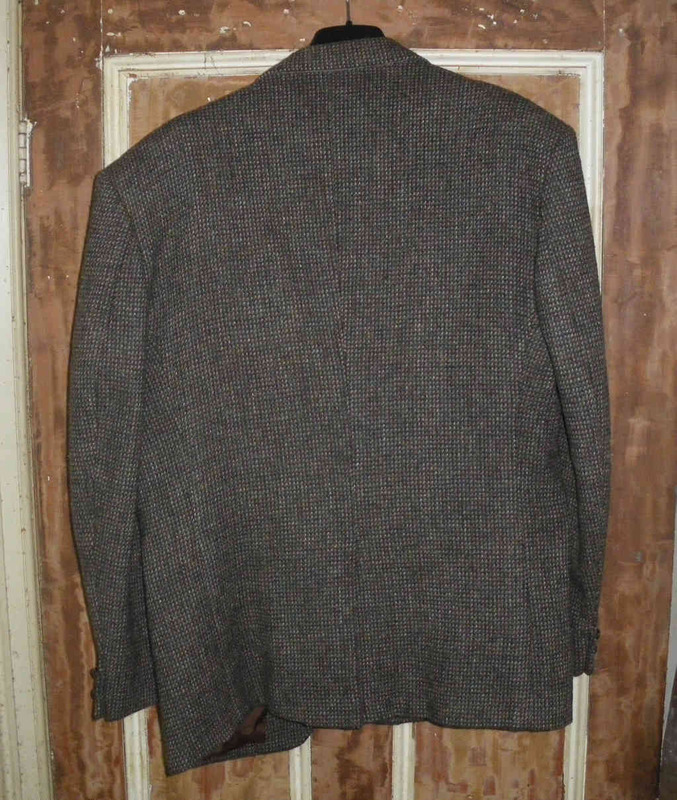 Honestly it has come out well, its just that we have had an extended Autumn where it has been warm on and off so I have not got to wear it all that much but it fits well, looks OK and is a nice casual coat to wear. It will see some work in the coming months as it gets colder. What modifications were done to improve the shoulders? Sad to say I was not privy to the full details but I did see what Peter did with the original pinning up while I was wearing it. He also said that the lower seam in the sleeves were modified to slim the sleeves slightly. Most of the shaping was done in the extra side seams added towards the rear of the armholes. The coat was a reasonably good fit in terms of shoulder width and arm length but a bit big around the middle. I am also very square shouldered with forward leaning shoulders and I think he did the adjustment with the way he modified the back.